This weekend is the Super Bowl and, as if we don’t turn on the news every single night and have to constantly hear about the Polar Vortex and how cold it is outside, the biggest story surrounding the big game is what will the weather be like. Like the organizers of the Super Bowl didn’t know when they chose East Rutherford, New Jersey’s MetLife Stadium that it didn’t have a DOME and that it could be cold, and possibly snowy, in January. So when the news people finally stop talking about the weather and move on to sports, we still have to hear about the weather. Sorry, but isn’t the Super Bowl about football? Anyway, whether you are having people over for the game or sitting at home watching the game alone, why not make some fun food just because you can? 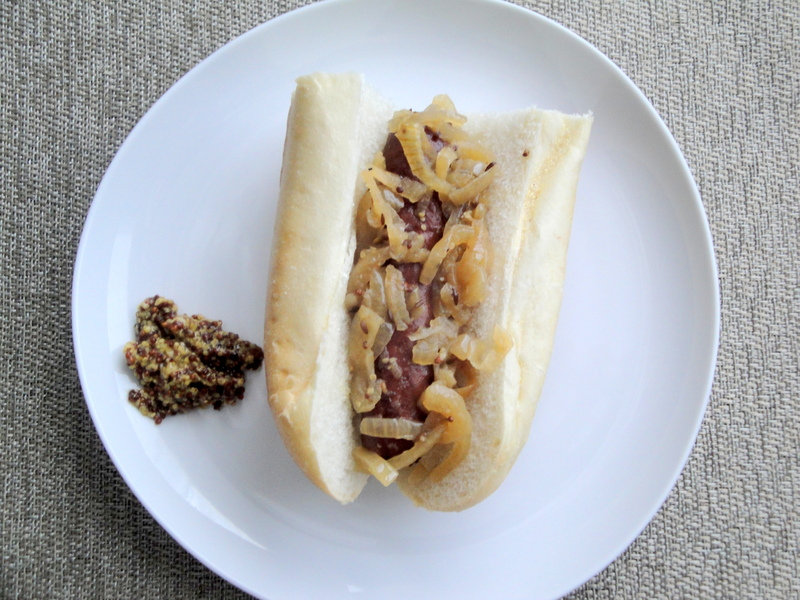 These Slow-Cooker Beer-Braised Smoked Sausages and Onion are an easy food to throw together and forget about for several hours. 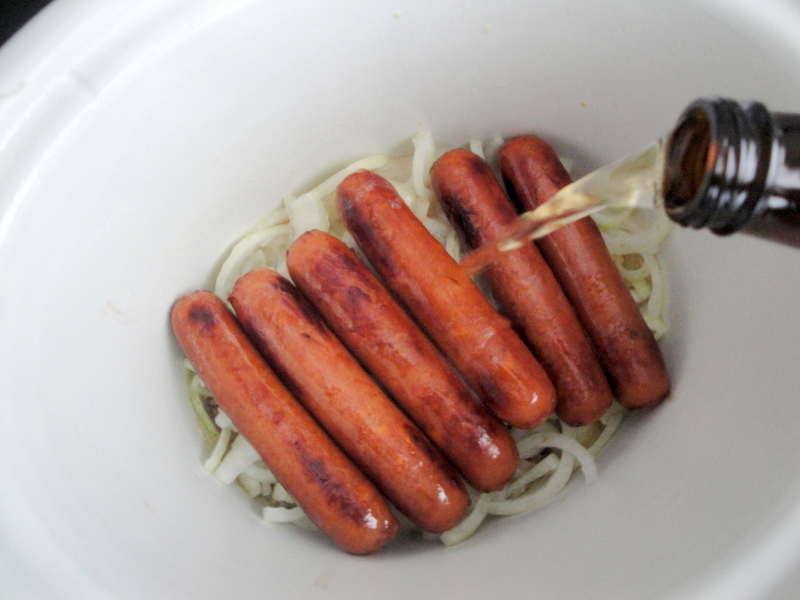 Smoked sausages with cheese (I used Johnsonville’s Turkey Sausage with Cheddar) are browned in a skillet before being layered into a slow-cooker with butter, grainy mustard, brown sugar, caraway seeds, and onions before being bathed with your favorite beer. After a couple of hours, these sausages take on a completely differently unique – and amazing – flavor. If you are like me and never really knew what caraway seeds tasted like, they taste like rye bread which I happen to love. 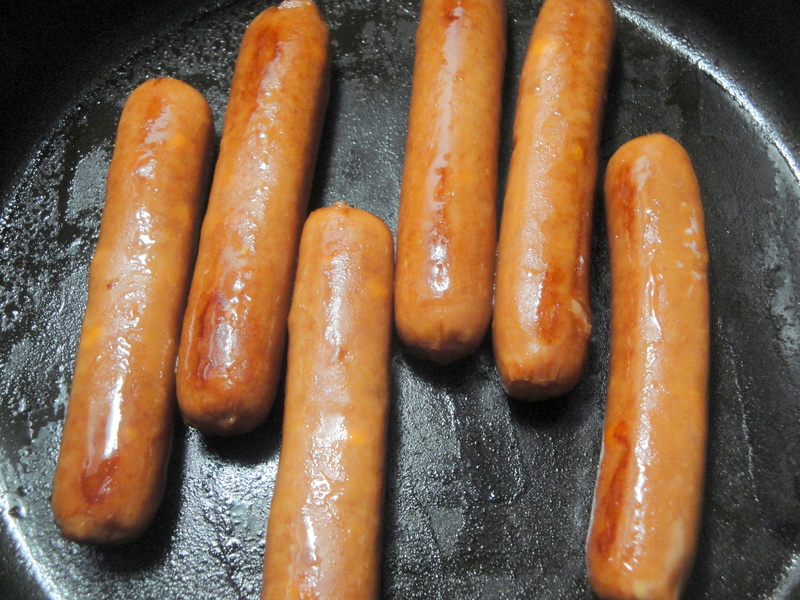 I’ve eaten these particular sausages before and this recipe completely transforms their flavor. Serve these on your favorite roll or eat them plain for the game this weekend and maybe you might not care a lick about the weather. Heat a large nonstick skillet over medium-high heat. 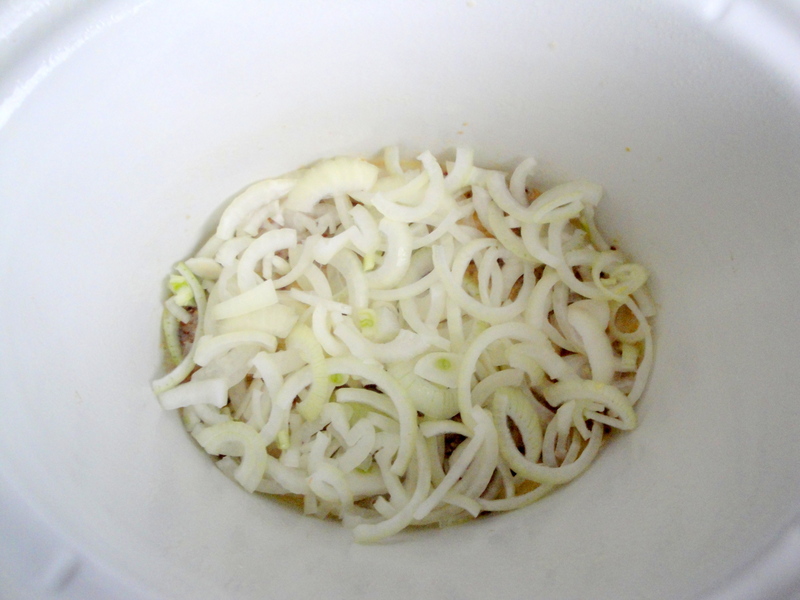 Add sausages and brown on all sides, about 10 minutes. 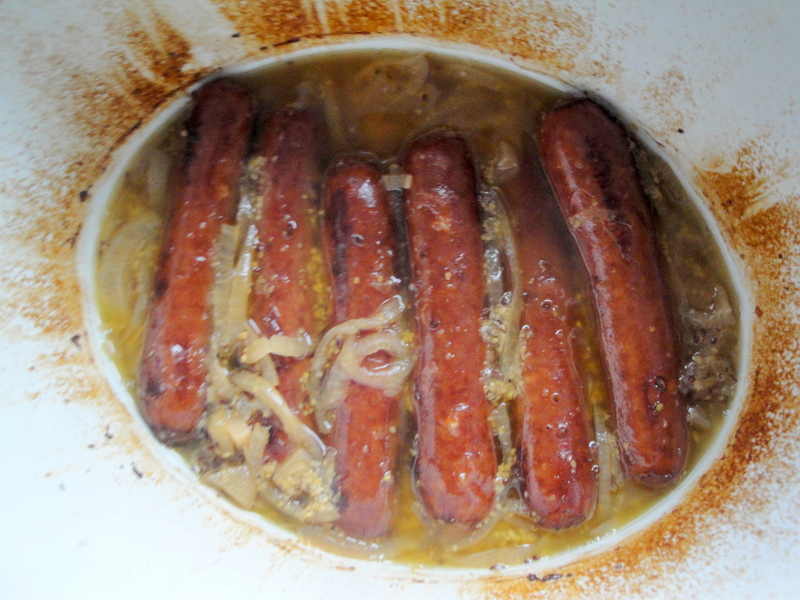 Meanwhile, coat the bowl of a slow cooker with nonstick cooking spray. 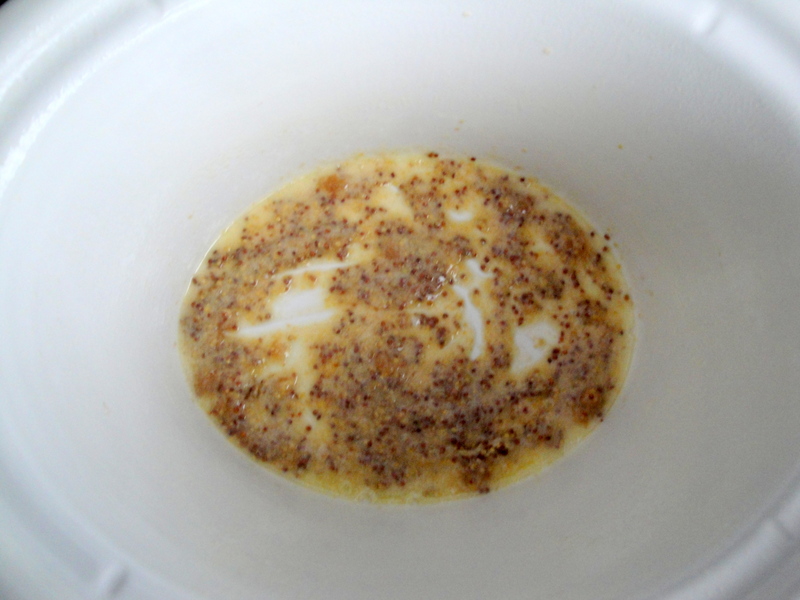 Place butter, brown sugar and mustard in slow cooker; stir in onions, caraway seeds, salt and pepper. 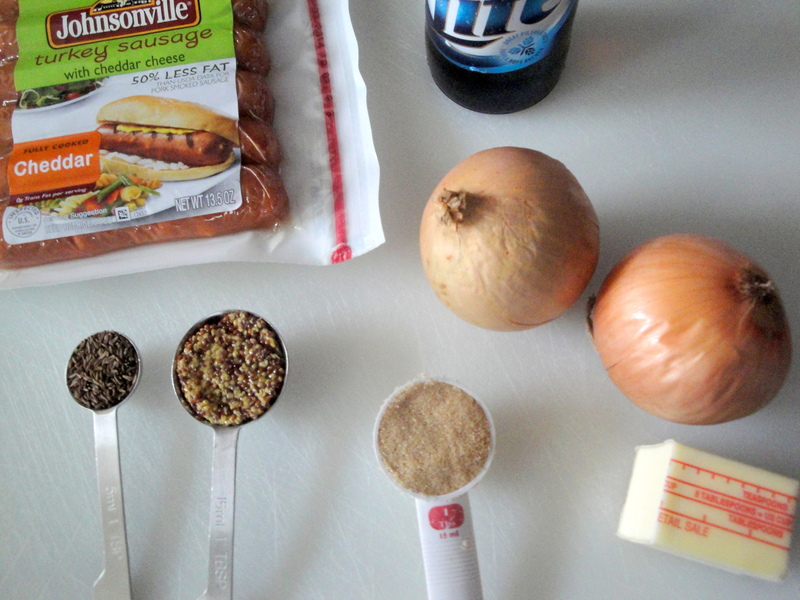 Place sausages over onions and pour beer over the top. 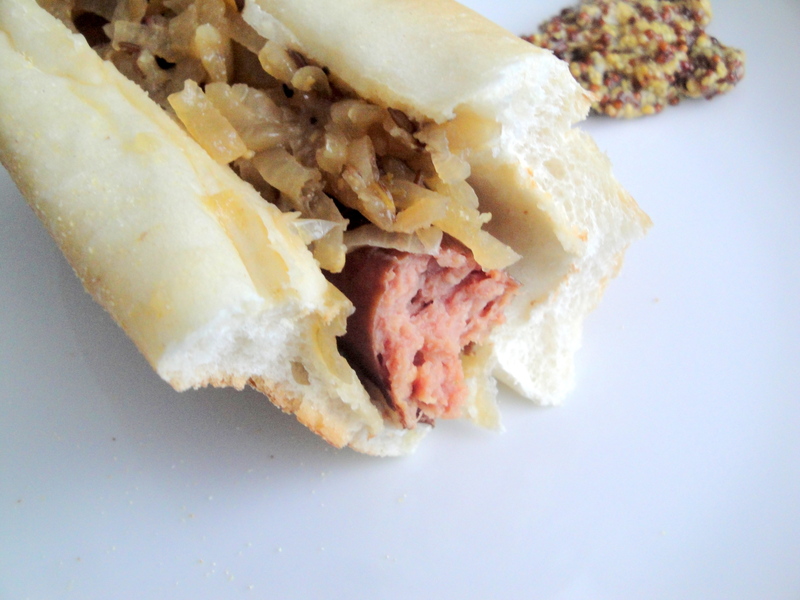 Serve sausages on rolls with onions. Top with mustard and cheddar, if desired.